road map to chapter content. - Learning Outcomes (including CAAHEP and ABHES competencies) list the skills to be learned in each chapter. 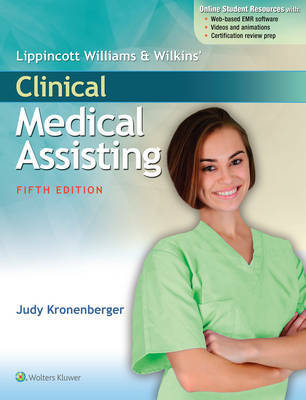 - Key Terms lists reinforce the vocabulary of medical assisting. - Checkpoint Questions appear throughout each chapter, allowing students to assess their understanding before moving on. - Spanish Terms and Phrases assist students in communicating with Spanish speakers. - Media Menus at the end of every chapter contain information on the videos, animations, and other online resources available to support chapter topics. - EMR Activities immerse students in working within an EMR system. - Chapter Summaries review key points. - Warm Ups for Critical Thinking activities include real-life scenarios that require students to develop, create, write, or search for further resources.